Many people are so focused on having a successful procedure that they tend to forget that the hard work of healing starts after the surgery. Recovering from surgery, in many ways, is the hardest part of the entire process. It is often uncomfortable, even painful for some, and may require both patience and persistence to have the best possible outcome. You may experience issues after surgery or you may be unsure about the instructions you have been given. You may wonder if what you are experiencing is normal after a surgical procedure, or if what is happening is a true postoperative complication. Is This Normal or Abnormal After Surgery? While some things are very normal after surgery and will typically pass after a few days (such as a sore throat), it's important to remember that if it feels like an emergency, you should contact your surgeon or seek immediate medical attention at the emergency room. Some things, such as difficulty breathing, significant bleeding, or pain that suddenly increases and cannot be controlled should be addressed immediately. Other issues, like a urinary tract infection, are fairly common after surgery but should not be ignored and will require contacting your primary care provider or surgeon. The ABCs, or Airway-Breathing-Circulation Rule, means that if something is preventing you from moving air through your lungs and hindering breathing, or if your circulation (heart, bleeding) has decreased, you need immediate treatment. You can call your surgeon if you are concerned. You may reach the answering service or another provider on call, but you should be able to get an answer if you have a serious issue. 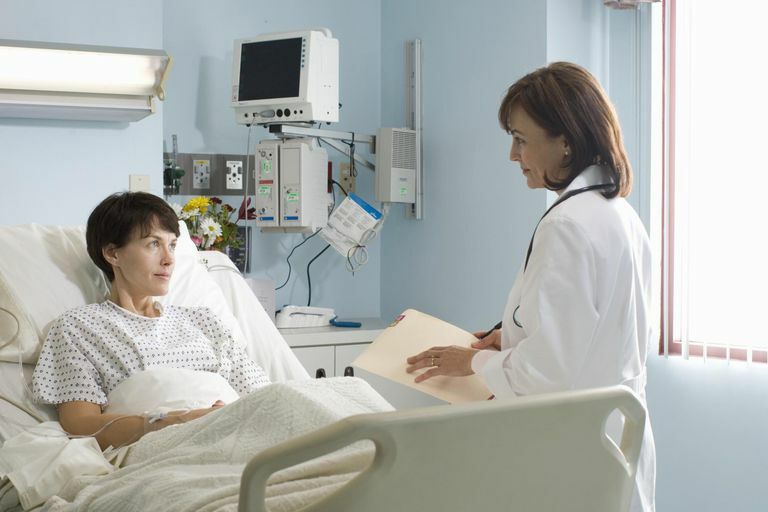 Some patients experience difficulty urinating after surgery or even a burning sensation with each attempt to urinate. A very select few have a complete inability to empty their bladder. This can happen as the result of anesthesia, the use of a urinary catheter (such as a Foley catheter), or the combination of the two. Urinary tract infections are more common after having a catheter, and may also produce a burning sensation. If you are experiencing issues with urination after surgery, be sure to mention it to your surgeon or primary care provider. If you cannot urinate at all, or very little, you may need to seek treatment in the Emergency Room. Do not ignore an infection after surgery. An infection is never "normal" after a procedure and immediate treatment can prevent serious complications. Patients often wonder whether fever after surgery is normal. A fever is not necessarily abnormal. But whether or not your fever is cause for significant concern is truly a judgment call by your physician, so check-in with your doctor. Generally speaking, a low grade fever (less than 100) that responds to treatment with ibuprofen or acetaminophen is considered an expected complication of surgery, while temperatures that climb over 100 should be addressed immediately by a healthcare professional. You are told not to eat before surgery so you may wonder how you end up constipated because of your procedure. Constipation after surgery is usually a combination of factors including pain medication, anesthesia, the stress of surgery, inactivity, and dehydration. But you can take an active role in preventing and treating your constipation by drinking fluids and eating a healthy diet rich in fiber right after surgery. Preventing constipation is always a better plan than treating constipation. Bearing down to have a bowel movement can increase pain and put stress on some incisions that can lead to serious complications. Many patients end up with a sore throat after having surgery, yet they don’t understand what caused it. It's common to hear patients say things like, "I had surgery on my hip, so why do I have a sore throat?" There is a common cause for his post-surgery ailment: the breathing tube you had placed during the surgery. Pain is a commonly dreaded consequence of surgery. The good news is that with pain medication prescribed by your surgeon and other strategies like rest, a slow increase in physical activity, and relaxation, you can minimize your post-surgical pain and get through this tough time. The key is staying on top of your pain management before it gets out of control. In other words, don't tough it out. Adequate pain control will also help you heal faster because you will return to your normal activities more quickly, feel better and be more likely to perform your dressing changes and wound care. Unfortunately, depression is not uncommon among surgery patients. Depression may have been there before the surgery, or it may have been worsened by post-surgical pain or by limitation of activity after surgery. Identifying depression is the first step to obtaining meaningful treatment. Symptoms may range from feeling blue to having thoughts of suicide. Depression can also cause irritability or a change in sleep and appetite patterns, which can be sometimes tricky to distinguish from expected changes after having surgery. Be sure to seek help if you or a loved one is experiencing symptoms of depression. How Do I Care for My Incision? Incision care may seem like a difficult task, but it truly is not as hard as you might think. The key is to start by washing your hands well. After that infection-preventing measure, the actual dressing change is straightforward. Luckily for surgical patients, many wounds don't even require a dressing, they are left uncovered to allow air to get to the incision site. If you are not comfortable dressing your surgical site, ask a nurse to teach a loved one or partner, so they can assist you at home. Can I Take a Bath? Swim? After your surgery, you may be itching to take a bath or perhaps hop into a swimming pool. But, there are guidelines for when you should soak and when you need to wait a while longer, and your incision is typically the deciding factor. It's best to talk this over with your doctor prior to the surgery, so there are no surprises. In general, if your incision isn't completely closed, if there are still stitches or steri-strips in place, and if you have not been allowed to return to work, you probably need to stick with showers. Very few things are as alarming to a surgical patient as looking at their incision and realizing it is opening up. That can range from a very small parting of the incision all the way up to dehiscence and evisceration, a condition where the incision opens and organs begin to protrude. Be sure to report the opening of your incision to your surgeon right away. Is a Fever After Surgery Serious?